It's about time that Converse had a flagship store in SoHo because every person young and old walking around the area owns at least one pair of Chuck Taylor, Jack Purcell or Converse Skate shoes. This past December NYC hipsters, skaters, punks and fashionistas got exactly what they were hoping for, a one-stop shop for all of their converse clothing and shoe needs. 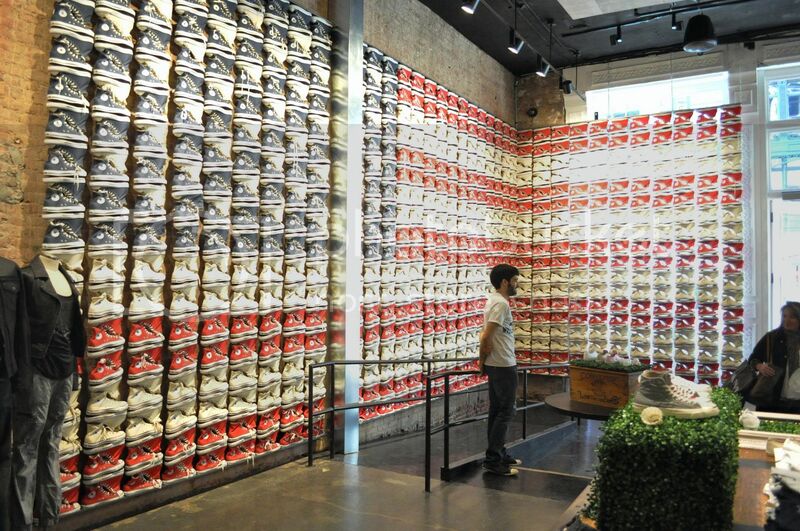 Where else could you find an absolutely massive american flag crafted from high-top Chucks? Nowhere. 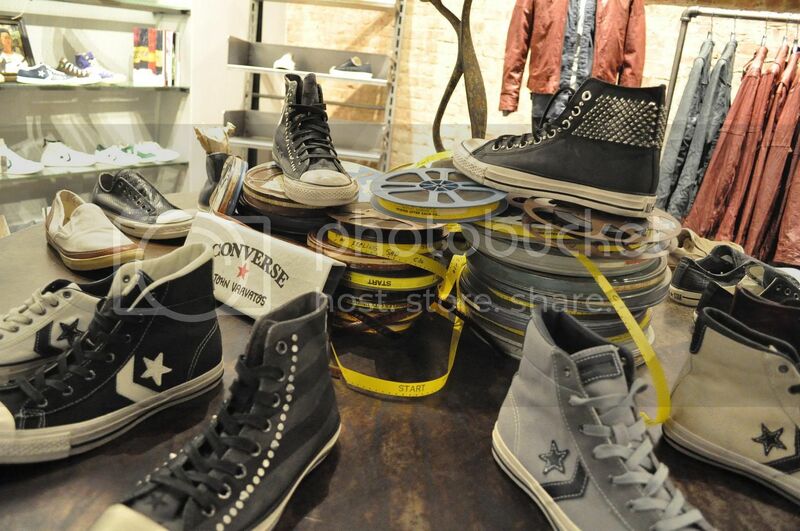 Check out more photos and info about the Converse Flagship Store after the jump. The flagship store is huge, Converse must have waited a long time for the perfect space on Broadway in SoHo to open up before they decided to open. Inside has an industrial feel with exposed brick, concrete floors and exposed lighting and ductwork on the ceiling. 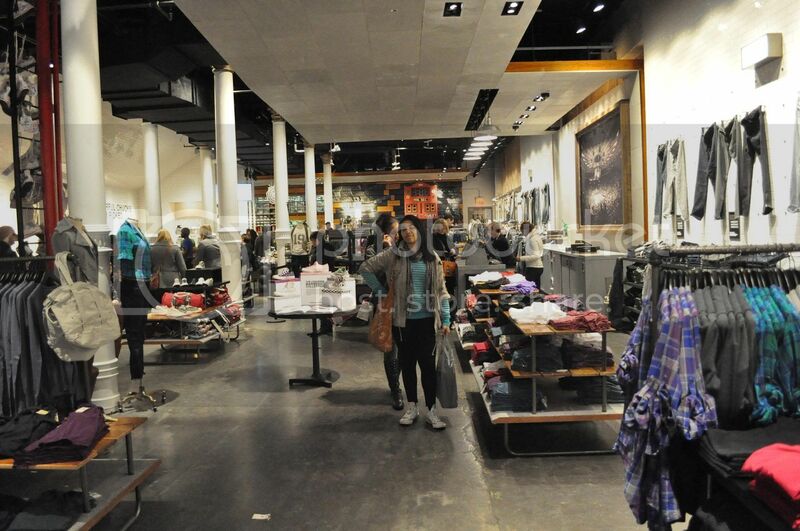 As far as inventory goes, the Converse Flaship Store is true to its 'flagship' title and draws on all lines of shoes and clothing to fill the store. From the most basic white Chuck Taylor low-tops, to the most expensive premium John Varvatos designed Jack Purcell kicks, everything is in stock. 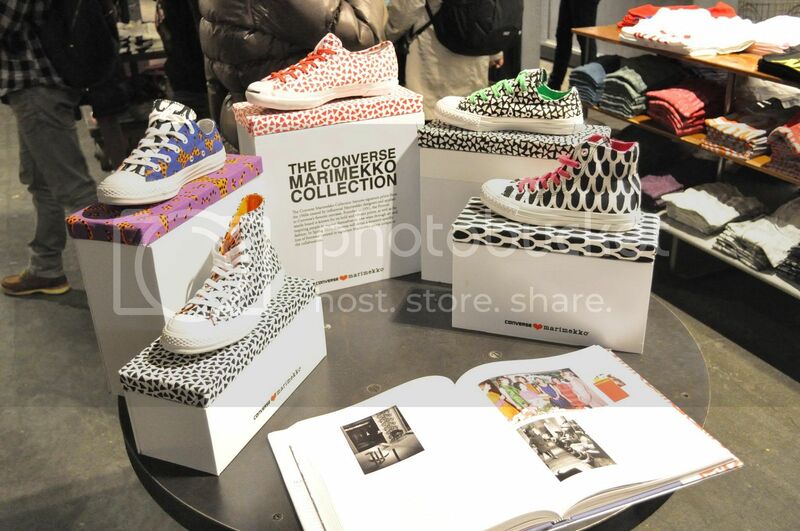 The store has a section for Converse Skate and also stocks their premium First String line which includes their coveted collaborations like the Missoni Converse and the Marimekko collection, but the staff was quick to admit that they do not get all of the limited releases. The limited releases that are not stocked by the Converse Flagship are picked up by Aloha Rag and Stussy which are both a short walk away. The clothing selection is also quite remarkable featuring a full range of denim, shirts, jackets and bags, it wouldn't be hard to leave the store wearing Converse from head to toe. The shop definitely has something for people of all ages and styles.